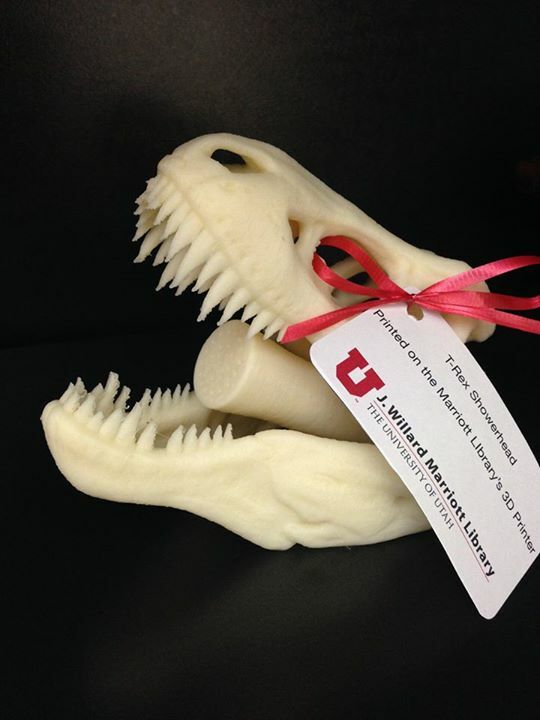 From University of Utah’s Twitter feed (@UUtah): RT @MarriottLibrary: 3D printed T-Rex showerhead? Yes, please! Is it for sale? To alumni, maybe? The Salt Lake Tribune carried an obituary for my old journalism professor Ernie Ford today. Small world: Good words about Ernie came from an official at KSL-Television, Con Psarras, Vice President for Editorials and Special Projects. Con is former news director at KSL, the job that many said Ernie was perfect for, but could never have because he wasn’t in with the owners of the station. Con is also a former colleague of mine from the University of Utah debate squad (he was a much better debater than I)*. Where are schools of journalism these days? I was shocked that Texas A&M dropped its journalism program a few years back. The best intern I ever had came out of A&M’s program. Liz Newlin wrote concisely and well, and she could smell the heart of a news story, and put it into the lead so you’d have to follow the arteries deeper into the thing to see what happened. Newlin could have been another Ernie Ford — but she married a guy named Taylor (you figure out the married name), went to law school and became a water law expert in Tucson. * We got a couple of good reporters out of that debate squad. Good training for a reporter, I think. Steve Christensen signed up with UPI back when it was still a noble outfit; I don’t know where he is these days. Tim Weiler reported for several years in and around Salt Lake. Carolyn Young, one of our graduate assistants back in the Early Later Than You Think Holocene reported for KSL’s rival, KUTV, but she headed out to Oregon. Of course, none of them were journalism majors. Go figure. Sometimes the news comes slow. Jake Sorenson at the Daily Utah Chronicle sent out a notice that Ernie Ford died last night. Cardiac issues. He was 70, after all — young by today’s standards, and not yet used up. Ford was adjunct faculty and adviser to the Chronicle when I wrote there, and took classes from him. Ford and Roy Gibson were veterans of Utah journalism who could offer a couple of chapters of a textbook they never wrote on how to write well, and how to write good news stories — with just their markups, questions and corrections in the margins of the news story one had to meet deadline on. Gibson died several years ago. More than once I regretted that I had to send the copy, with Ford’s comments, off to “typesetting” in the backshop, knowing I’d never see it again. We didn’t have a photocopier to just make another copy. Details to come, Jake said. We’re losing more than just old, established newspapers. We’re losing the men and women who made the news, news, and made the news readable, and understandable. Ford made his reputation at KSL Television News and the Salt Lake Tribune. Here’s a 1989 story on his leaving KSL to move to a Dallas station. Sometime after that he moved on to run the Society of Professional Journalists, in Indiana. Details on Ford’s life and death to follow, but probably no film at 11:00. When enough of the big trees fall, you can’t call it a forest any more, you know? June 2, 2011, Greencastle, Ind. — Ernest J. 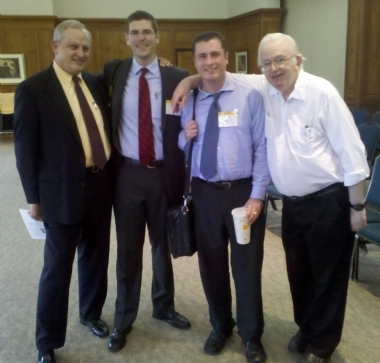 “Ernie” Ford Jr., a respected journalist and former member of the DePauw University faculty, passed away yesterday. He was 70 years old. Ford was born on June 7, 1940, in Salt Lake City, and earned bachelor’s and master’s degrees in journalism from the University of Utah. After a lengthy career in print and broadcast journalism, Ford came to Greencastle in the spring of 1992 when he was named executive director of the Society for Professional Journalists (SPJ). 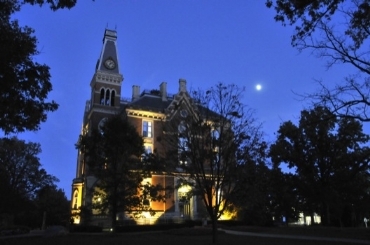 The organization, which was founded by student journalists at DePauw University as Sigma Delta Chi (SDX) in 1909, is the nation’s most broad-based journalism organization. 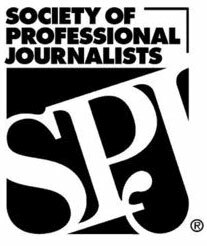 SPJ had its national headquarters in Greencastle in the 1990s. “Ernie Ford was selected because of his strong management experience in broadcast and print journalism,” said Georgiana Vines, assistant managing editor of the Knoxville News Sentinel and chair of the search committee, when Ford’s appointment was announced. Ford had served as SPJ’s national president during 1991-92 before taking a paid post with the organization. He became a member of SPJ’s national board of directors in 1984, when he was elected Region 9 director, and served as chair of the Ethics Committee, Publication Committee, and the Legal Defense Fund. A regular lecturer to students in journalism classes and members of the DePauw Media Fellows program, Ford served as a part-time instructor in University Studies during the 2001-02 academic year. Ernie Ford and his wife, Linda, who survives, are also known to a generation of DePauw students as owners of the Fine Print Bookstore, which they operated on Greencastle’s square for 15 years. He also served as an adjunct instructor at the University of Utah, Brigham Young University and Utah State University. Before coming to Indiana, Ford’s journalism career which included stints as managing editor of KSL-TV in Salt Lake City, assistant news director of KDFW-TV in Dallas, assistant city editor of the Salt Lake Tribune, wire editor of the Idaho Post-Register in Idaho Falls, and general assignment reporter for the Deseret News in Salt Lake City. He collected numerous journalism awards, including a 1980 Sigma Delta Chi award for broadcast public service, regional Emmys, the Eudora Welty Award and the DuPont Award. A strong advocate for the First Amendment and the rights of journalists, Ford testified before Congress in support of the Freedom of Information Act and organized a a petition drive that led move the U.S. Supreme Court to permit still cameras in the courtroom. In 2006, Ford was inducted into the Hall of Fame of the Daily Utah Chronicle, the University of Utah’s student newspaper, where he cuts his reporting teeth as an undergraduate and later served as faculty adviser. Ford served on the boards of the Putnam County Humane Society, Great Lakes Booksellers Association, served of president of Main Street Greencastle, and was a longtime supporter of the Putnam County Playhouse. A celebration of Ernie Ford’s life will be held at 2 p.m. Sunday at the Putnam County Playhouse, 715 South County Road 100 East, Greencastle. 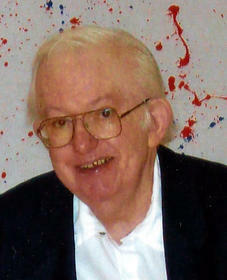 An obituary is accessible at the website of Greencastle’s Banner-Graphic. I’ve lived with Wallace Stegner’s work since I first got to the University of Utah. Stegner was the biographer of Bernard DeVoto, whose works I read in a couple of different classes. More important, Stegner wrote about the West and wild spaces and places, and how to save them — and why they should be saved. Salt Lake City’s and the University of Utah’s KUED produced a program on Stegner in 2009 — he graduated from and taught at Utah — a film that wasn’t broadcast on KERA here in Dallas, so far as I can find.. 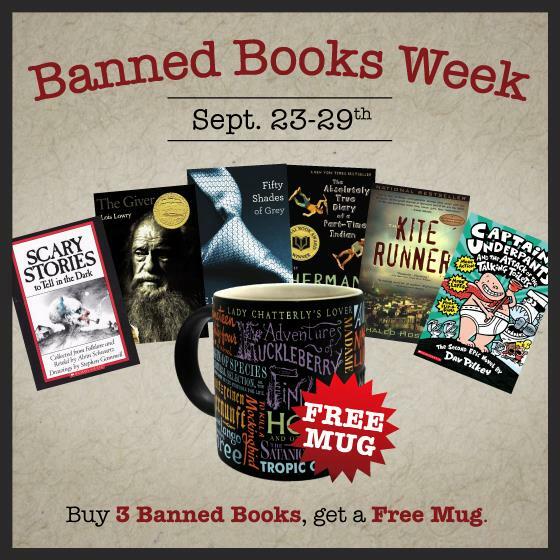 In conjunction with the University of Utah, KUED is honoring alumni Wallace Stegner – the “Dean” of western writers. WALLACE STEGNER, a biographical film portrait, celebrates the 2009 centennial of his birth. Wallace Stegner was an acclaimed writer, conservationist, and teacher. He became one of America’s greatest writers. His books include the Pulitzer Prize-winning “Angle of Repose” and “Beyond the Hundredth Meridian.” His “The Wilderness Letter” became the conscience of the conservation movement. Wallace Stegner mentored a generation’s greatest writers including Ken Kesey, Edward Abbey, and Larry McMurtry. Former Supreme Court Justice Sandra Day O’Connor was a student. It’s difficult to tell from the photo, but his typewriter here looks a lot like a Royal. Just learned of the passing of an old friend last December, Jim Riley. Jim was a Ph.D. student and one of the assistant debate coaches of the great University of Utah debate teams of the middle 1970s. He was also the guy who taught me how to properly light and smoke a cigar after we nearly won the Western Speech Association Debate Tournament at the University of New Mexico in Albuquerque (1974?). Lighting a cigar properly is a skill every gentleman should have, even those who do not smoke. He was a great friend, a wonderful life advisor, and a normal guy in a time and place when normalcy was a rare virtue. The Riley Extension is now a featured piece of analysis in many Advanced Placement courses in social studies, especially history where the answering of the two questions tends to make for much better essay answers. James Whitcomb Riley Jr., 65, died Friday, Dec. 26, in Wellington, Kans. Services were held Friday, Jan. 2, 2009, at 10:30 a.m. in the Nelson Performing Arts Auditorium at Northwest College. James W. Riley Jr. was born Aug. 18, 1943, the son of Dr. James Whitcomb Riley Sr. and Carolyn Crenshaw Riley in Oklahoma City, Okla. He earned his Bachelor’s degree in Political Science from Washburn University in Topeka, Kans. He attended three years of Law School at Washburn before being drafted into the U.S. Army. He served as a military policeman in Germany and Vietnam. Jim returned to Texas Christian University in Fort Worth, Texas, to earn his Master’s degree in Speech Communication where he also taught and coached forensics. Jim furthered his education at the University of Utah while continuing to coach. Jim later taught and coached forensics and debate at the University of Nevada Reno and Boise State University. In 1977, Jim began teaching at Northwest College in Powell. On May 4, 1991, he was united in marriage with Laura (Barker) Hagerman. Jim retired from teaching at Northwest College in 2005 and later received the status of Professor Emeritus in the spring of 2008. Jim was an avid outdoorsman. He had a passion for hunting, camping, cutting firewood and river rafting. His fondest outdoor adventure took him down the Grand Canyon with friends, family, and colleagues. Jim also enjoyed teaching, reading and spending time with family, friends and the family’s two dogs. Surviving to honor his memory are his father, Dr. James W. Riley Sr. of Wellington, Kans. ; wife, Laura Riley of Powell; daughter, Mallory Riley of Powell; sons Daniel Hagerman and his wife Abbey Hagerman of Laramie, Jeremy Hagerman and his wife Kelly Shriver of Olympia, Wash., Nathan Hagerman and his wife Melissa Hagerman of Anchorage, Alaska, and Taylor Riley of Powell; and three grandchildren, Mikayla Hagerman, Natalie Hagerman and Collin Poe. Preceding him in death was his mother, Carolyn Crenshaw Riley, on Jan. 2, 2006. In Jim’s honor, the James W. Riley Communications Scholarship fund was established to help provide quality, affordable education for students majoring in Communications at Northwest College. Applicants must have a minimum 3.5 high school GPA and must maintain at least a 3.0 GPA while attending NWC. Donations to the James W. Riley Scholarship can be made here .